Oliver Stone is nothing if not controversial. 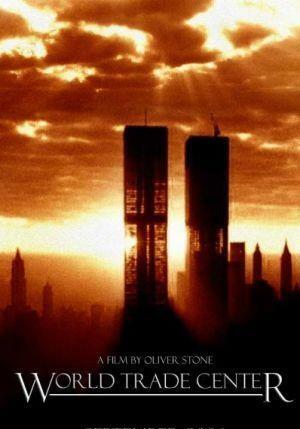 This time around, though, the controversy surrounding World Trade Center is based on the fact that the award-winning director has jettisoned his usual trademarks in favor of telling a simple and straightforward story. Reverent, heartfelt, restrained, spiritual, patriotic—the film is all these things and much more. There is no need for extravagant effects and Stone thankfully avoids sensationalism. Most of the horror the movie portrays isn’t visual—it’s aural. Rather than being forced to watch what we have already seen a hundred times, we simply hear the first plane’s impact. When the policemen run into the elevator shafts for safety, we don’t see much; instead, we endure the seemingly-endless and gratuitous sounds of the towers collapsing. What we hear is more than enough to make the movie real. In fact, the sense of claustrophobia/peril is so real that there were times I feared John McLoughlin (Nicolas Cage) and Will Jimeno (Michael Peña) might not make it out alive—even though I knew how the story ended. World Trade Center may not affect the emotional palate as strongly as United 93 did, but it is easier to swallow. In fact, some have complained that the approach Stone takes is too soft, turning the story into a generic search-and-rescue effort that could have just as easily taken place in a mining shaft or burning building. I’m not sure if these people saw the same movie I did. Elements of 9/11 permeate the narrative, continually reminding us that this was no mere accident. The movie may not be as intense or heart wrenching as United 93 was, but it doesn’t need to be. Given the simplicity of the plot, it’s hard to believe how quickly the two hours pass. Once the Port Authority officers are trapped under the rubble of the towers, the story alternates between their conversations as they fight to stay alive and the interactions of their family members as they wait for any news from Ground Zero. The dialogue isn’t polished, which actually serves the film well. In the midst of great tragedy, victims don’t automatically wax eloquent. These were real, normal people engaging in real, normal relationships. Life is filled with these “little moments,” the consequences of which are seemingly insignificant in the grand scheme of things. And yet, as we see in the movie, the mundane aspects of life can have a greater impact on us than we might imagine. Like the movie, Craig Armstrong’s music is simple and restrained. It’s nothing that grabs your attention—but then, that was probably the point. Dominated by a melancholy piano theme (heard in the trailers) and string-heavy underscore, the music doesn’t really rise to any prominence until the climax. Much of the film’s music contributes little more than ethereal subtext. In fact, the most intense scenes are completely music-free—a nice touch that helps the film avoid accusations of shameless manipulation. This year has brought us two motion pictures about September 11 2001, both of which have treated their subject matter with dignity and respect. Oliver Stone and Paul Greengrass deserve our admiration for their efforts. And let’s hope that future cinematic treatments of this topic rise to the standard these two men have set.